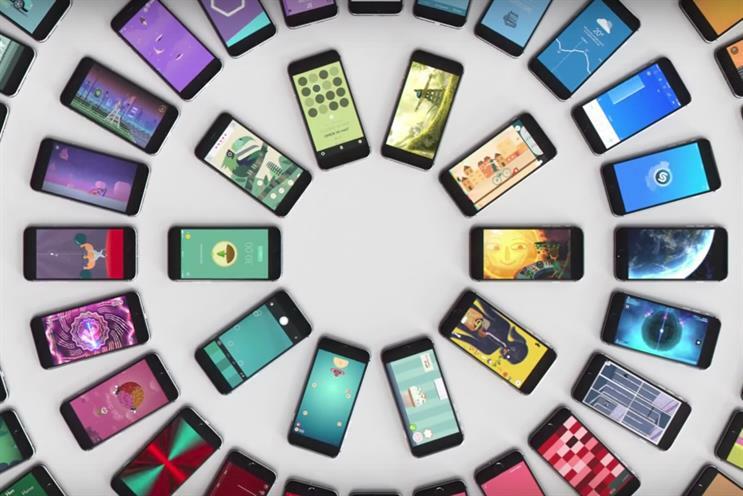 Ahead of this evening's Apple Keynote, when the tech giant is expected to launch a new iPhone, Campaign charts the smartphone's best ads from the last decade. Airing during the 2007 Oscars, TBWA\Chiat\Day's ad for the iPhone's arrival on the world stage used a montage of famous faces in scenes from classic movies, each of them picking up phones and saying, "Hello..."
It featured a veritable smorgasbord of stars, from Humphrey Bogart, Audrey Tautou, Peter Sellers, Betty Rubble from The Flintstones and Steve McQueen, to Charlton Heston, Sarah Jessica Parker and Cameron Diaz. 2016’s "The midnight" used a night-shot TV execution to promote the technical virtues of the iPhone 7’s low-light camera. Apple adopted a somewhat more combative stance in 2015 when it explained to consumers perhaps tempted to stray from Apple’s product portfolio that "If it’s not an iPhone, it’s not an iPhone." Well obviously. Apple brought much-loved Sesame Street character the Cookie Monster back to TV screens in 2016, when it used the biscuit-munching puppet in conversation with Apple’s AI-powered virtual assistant Siri. "There’s an app for that" was a phrase that became synonymous with the Apple brand, not least because the tech firm had pretty much created the app ecosystem that would be aped by many brands. The famously defensive company even filed a trademark application for the slogan, which was reinforced in this 2009 TV ad. If your appetite for all things Apple remains unsated, Campaign has filmed an iPhone round up video.